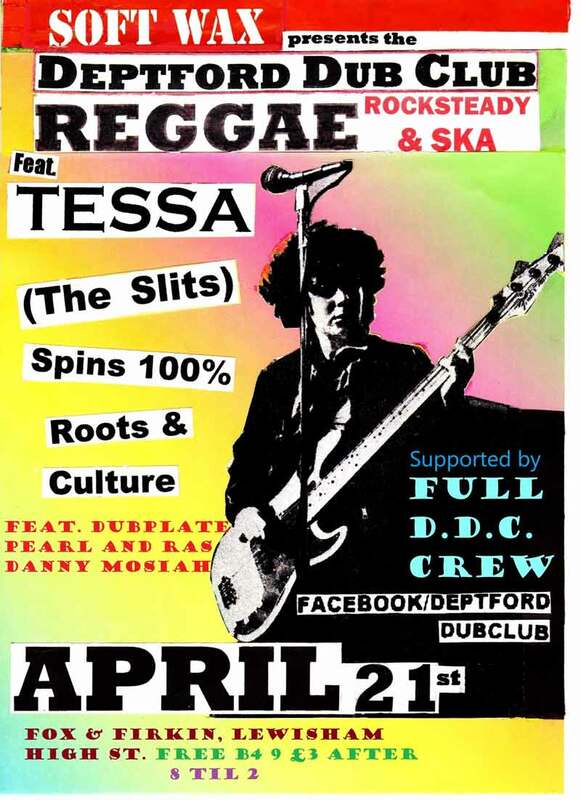 Ras Danny Mosiah, Dubplate Pearl and Tessa Bassie ( The Slits ) join resident Soft Wax, to celebrate the Deptfordv Dub Club's 4th Birthday. Roots Reggae, Rocksteady and Ska with live instrumentation from Tim Topcat and Will Roper, plus vocals from Setondji Spirit and Queenie. Foundation music in traditional style all the way.